Some leaders think outside of the box, Steve Page thinks outside of the oval. As President and General Manager of the Sonoma Raceway, Steve has shown remarkable leadership in his two decades at the helm there. Steve Page is known for his inclusive leadership style, sharp wit and big heart. Whether it be taking the raceway through all kinds of innovations and improvements, helping local charities, leading community efforts or embracing change, Steve is the “go to” guy in the Sonoma Valley. At Sonoma Raceway, Steve led the $100 million modernization of the raceway, transforming it into one of the premier motor racing venues in the U.S that is also one of the most environmentally-friendly facilities. He has pioneered an amazing array of environmental improvements including a large solar power installation, racing electric vehicles, water and energy conservation, using “wooly weeders (sheep)” for wildlands’ management, recycling oil, ethanol fuel and much more in his goal to achieve 100% sustainability. Page sees going green at the raceway as an important step in reaching out to motorsports’ fans. He says, “We are uniquely positioned to take the message of sustainability to the horsepower-and-performance crowd who have not necessarily been the early adopters of the movement.” Page wants to honor the environmental ethos practiced in the North Bay in the raceways’ operations. Page has also introduced new types of racing at the raceway. For the first time on American soil, the FIA World Touring Car Championships will bring its “furious fender-banging” style of competition to Sonoma. It was Page’s initiative that brought this new style of racing here, repeating his past introductions of new events such as electric motorcycle racing. Says Page, “The World Touring Cars will be new to this country, but it is the kind of adrenaline-fueled competition American race fans flock to and I have no doubt it will quickly grow a strong audience – we can’t wait.” The race will be on the weekend September 22-23. The addition of this race gives the raceway one of the most diverse schedules in the country, featuring the best in stock-car racing (NASCAR Sprint Cup Series): drag racing (NHRA), open wheel racing (INDYCAR); motorcycles, historic car racing and more. And for the locals, there is drifting, Wednesday Night Drag Races, Top the Cops racing with local law enforcement and at- risk youth, fund raisers and all other kinds of fun to be had. Page’s leadership has led the raceway to be repeatedly voted by its employees as one of the “Best Places to Work” in Sonoma County. It is a tribute to Page’s inclusionary style, that he credits his staff for the raceway’s accomplishment more than himself. Page leads by example and has surrounded himself with top notch talent that thrive under his management. Page celebrates his staff’s ingenuity, problem-solving capabilities and competency. Away from the raceway, Page gives back to the community which he loves. He serves on the Board of Directors of Speedway Children’s Charities, the Road Racing Industry Council, and the North Bay Leadership Council, of which he is the past chair. 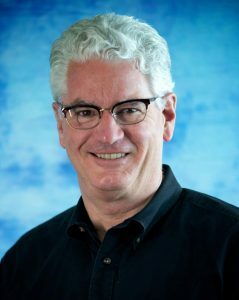 He is also an advisory board member for the Redwood Empire Food Band and Social Advocates for Youth, and former chair of the Sonoma County Tourism Council. A leader with integrity, the North Bay is a better place because of Steve Page.